When’s situation calls for a righteous person, and no righteous person is around, be a righteous person. Remember to be culture carriers and brave, heart-centered storytellers ourselves. 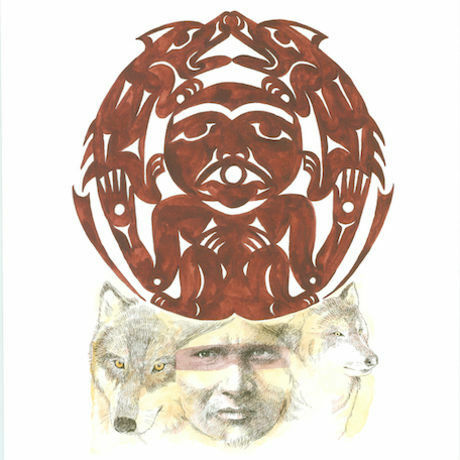 Roger Fernandes is a Native American artist, storyteller, and educator whose work focuses on the culture and arts of the Coast Salish tribes of western Washington. He is a member of the Lower Elwha S’Klallam Tribe and has a B.A. in Native American Studies from The Evergreen State College and an M.A. in Whole Systems Design from Antioch University. He has worked in a variety of arenas including Native education, social work, arts, and culture. As an artist he practices and teaches Coast Salish design and as a storyteller he shares storytelling as a foundational human process for teaching and healing. He currently teaches courses on storytelling and art at the University of Washington, Northwest Indian College, and other learning institutions.